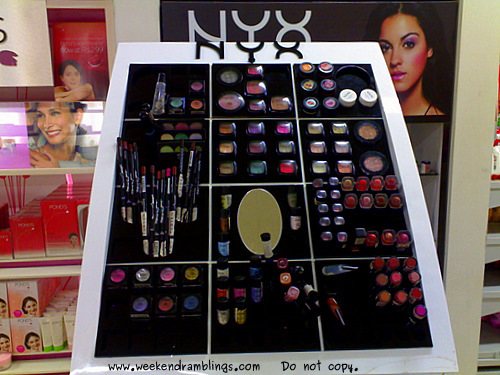 Btw, I forgot to mention the Lush counter at Hypercity..And you stay close by? Ooh yeah..belated Onam wishes to you too. I had yummy sadya which me n my co sis whipped up.hehe.Gave MIL some rest. Then some family time and back to the grind. Hehehe..of course of course its link love...its got nothing to do with me being too lazy to note down prices, take pics :P :P Yup..close by - 15 min car. oh okies..so WW is lazy too eh?? thats news..
Coconut oil? I saw some dark brown oil - sesame oil based treatment. Never sa Kama in hypercity and this rangoli is your work Rads..hmm pretty talented u r...Good girl..Pat on your back!!! Ohh okk..guess I missed that post! I liked the cleanser - haven't opened the other packets yet. How do you use the cleanser? I usually wash my face and moisturize and go to sleep..so used this cleanser at that time. Amn't too sure - can you absolutely stop using soap and use only this??? gah - i lost my make up bag so i just need new make up in general! i have never used this product so don't know much about it..but after your post, I'll have to check this product.Nice hauls. ya I guess one can stop using soap completely, as this is quite effective in cleaning the face. I would love to use only this but I wash my face at least 2-3 a day so I dont think I shd use this alot esp since it also acts as a scrub. I normally use this in the morning and then moisturise :).Pls do a review on the mask when you can. Renuca - its same here...my face does get quite oily by the end of the day, but I am trying to use only this at least once a day. Yes for sure, I will use the mask and the body cleanser and let you know. Oh okkkzz..will use once or twice and review. That nekkkid bar - Godiva - is smells just like jasmine flowers..might be too strong a smell for some hoomans me think. @ Tanveer : The malad hypercity does not keep kama products any more.. I loved the packaging - thats the one reason I picked it up :D :D I bought the eyeliner - NYX - but now I am finding the lining wand/stick (?) too long for my fingers...sighhhh! Hii... all the Kama Products in Bangalore are available at the Good Earth store... happy Shopping..
Hii Anon..Tx for the info...Good Earth..Inner Ring Road? 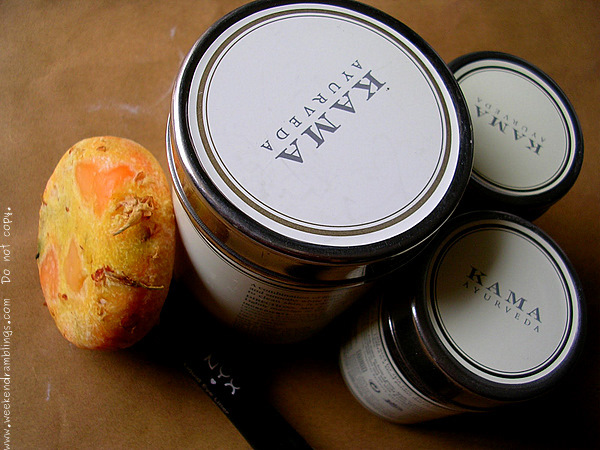 I was just looking reviews on some of the Kama products and i came across your blog :)! I live in Australia and was looking buying some products online but of course i wanna make sure i do my research first. How long does the soap-free cleanser last for? It is a decent size? And have you tried their Miraculous Beauty Fuild? I cant seem to find any reviews on it :(. Lastly, have you experimented with Forest Essentials Products? Any recommendations will be highly appreciated. I just briefly went through your blog for this month and i figure your a big skincare/makeup junkie :p. I'd like to make a recommendations from my size hehe. Because i'm not sure you might have heard of this brand since its Australian. Its called Jurlique and their products only have natural ingredients. - Intense Recovery Mask: I have been using this mask for 2 months now and i'm lovely my skin. It leaves it smooth and glowing. Ok im gonna stop raving on haha. I was only here to look for reviews not give reviews lol. But i just thought you might like this range and yeah. Don't think there are any places in India that would sell these products but you can defo buy them online if you find yourself intrigued. Oh shoot i didnt realise itd be that long. And sorry about my gazillion Typos!! Multitasking is never good! Yeah it does look like a tiny 'Dibba' ae. You know i feel quite silly buying it online now because i was in India in August. Only if i had knew about the brand then i wouldn't have to pay 5x the actual price! Gr! I am literally kicking myself. How much did you pay for it if you remember off the top of your head? I think it was Hypercity i went to when i was in Bangalore for a day. Not sure, but they had Lush there. Damn i shouldve done my research earlier!